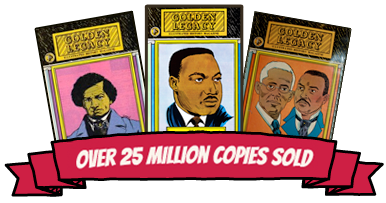 The illustrated magazine, Golden Legacy, certainly lives up to its name, telling us things of the storied past that are well worth knowing. Each volume catches the spirit of the times and the personality of the participants. As one turns the pages the past seems to come alive, particularly those aspects of it which up to now have generally escaped our attention. 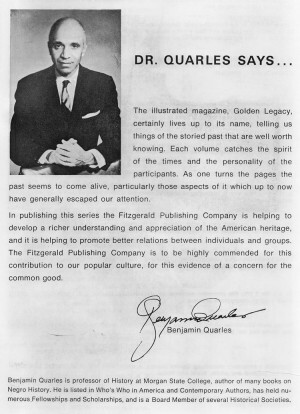 In publishing this series the Fitzgerald Publishing Company is helping to develop a richer understanding and appreciation of the American heritage, and it is helping to promote better relations between individuals and groups. 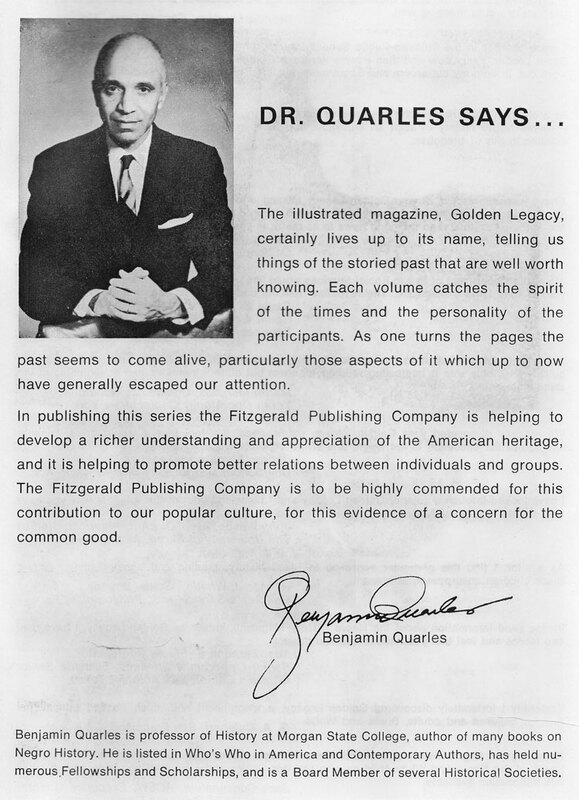 The Fitzgerald Publishing Company is to be highly commended for this contribution to our popular culture, for this is evidence of a concern for the common good.